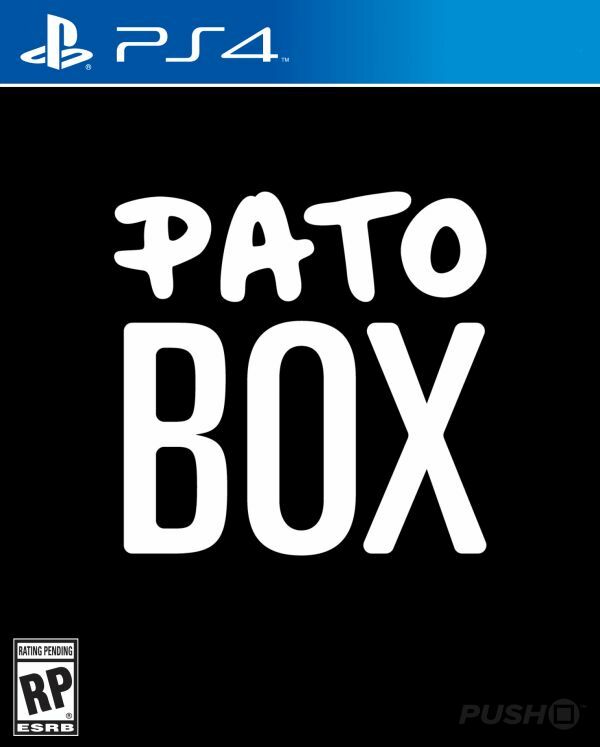 As far as game pitches go, Pato Box is a pretty unusual one. It's essentially the NES classic, Punch-Out! !, only it looks like a graphic novel and stars a man with a duck's head. However, it's not quite that simple, as the game provides its own spin on things, throwing in a story as well as some unique gameplay that sets it apart from its clear inspiration. 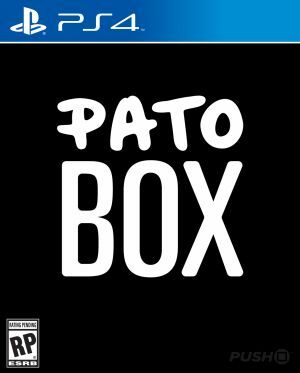 You begin the story as the titular Pato Box is defeated, poisoned, and nearly killed in what should've been a straightforward match. This leads you to the headquarters of Deathflock, a sinister company responsible for the dastardly deed, and you'll need to face several adversaries as you uncover the mystery. The story isn't a particularly original one, but its mixture of silliness and darkly absurd moments makes for a surprisingly intriguing tale. In between the boxing battles against each floor's boss, you'll spend a fair amount of time exploring the building, talking to NPCs, and solving puzzles. For example, the lowest floor takes you to the sewers, where Deathflock's explosives expert resides. Before you can get to him, though, you'll need to enable extractor fans to clear the toxic fumes that block your path. As you're doing this, you'll find backstory on the villain and tips on how to tackle his attack patterns once you do reach him. Separating the action out with these story-based sections gives the game a nice pace and a little more to think about other than punching and dodging. When it comes to the action, though, it's about what you'd expect. You can dodge left and right, block, and throw high and low punches when your opponent is open. The problem with some of the bosses is that they're not particularly fond of telegraphing their moves, which can make the fights pretty difficult. What's more is that there doesn't seem to be any checkpointing during battles whatsoever, so even if you're defeated right near the end, you'll have to start all over again, which feels a little unfair. Through repetition, though, you will eventually learn how to beat each boss and overcome their various attacks. These range from regular punches through to elaborate traps. Miss Brauch, the first boss you fight, uses robots and electrical attacks that you'll need to dodge in order to survive. Once you do finish off a foe, you'll earn their emblem, and there are seven to collect before you face the big bad. Once you finish the Story mode, you can tackle any of these fights again in Arcade mode, or even take on a boss rush challenge to defeat them all back to back. This provides a more classical style of gameplay, stripping away the narrative elements and puzzle solving for something more pure. But that's your lot, really -- it's not an especially big game, and unless you enjoy improving your scores on each fight, there's little replay value on offer. While it lasts, though, it looks pretty great. 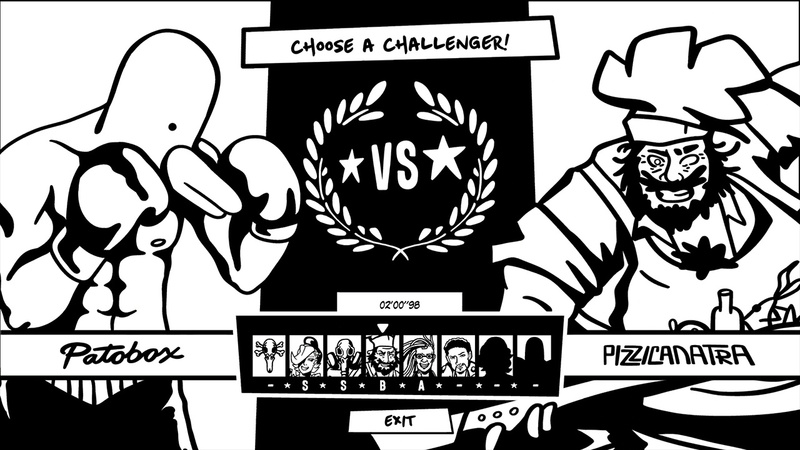 The black and white, graphic novel style presentation is a bold choice that works very well for the most part, and the game never once drops a frame below 60. The characters have some neat designs, but animation is limited, and their dialogue isn't anything special either. 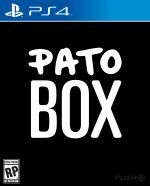 Pato Box attempts to do something different with the Punch-Out!! 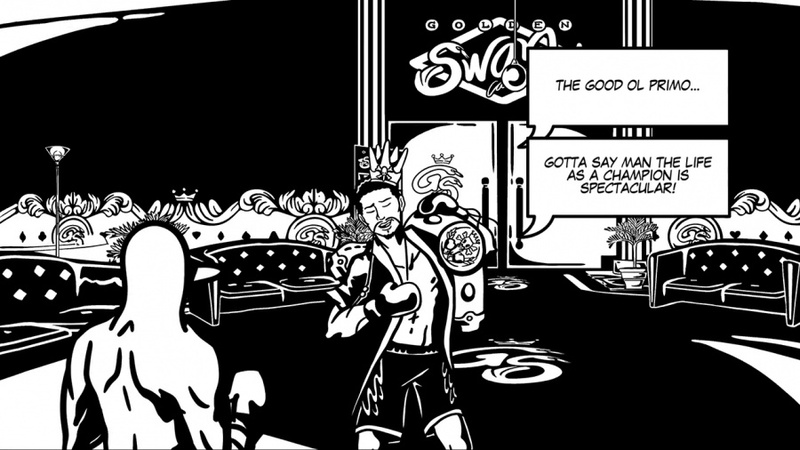 formula, and succeeds in weaving a story through the boxing matches and light puzzle solving. With a unique visual style and silly tone, this entertaining oddity certainly stands out from the crowd. However, some fights can feel a touch unfair, especially with poor checkpointing, and with very limited content, this probably won't last you too long. I'm intrigued. Can't seem to find it on the Store though? It's one of those I'd check out when it's going cheap (no pun intended), I think. @roe I don't think it's out in Europe yet. To clarify, there isn't going to be a release in Europe until the developer can secure the funding needed to put the game through the age rating process. So, US only for now. @Quintumply I guess every version requires an age certification? It was released for Switch in the UK back in July. Here's the Kickstarter update where they explain it. Disappointed - I thought this was a boxing story with Pato Banton of 1990's 'Baby Come Back' singing fame. Fake news.